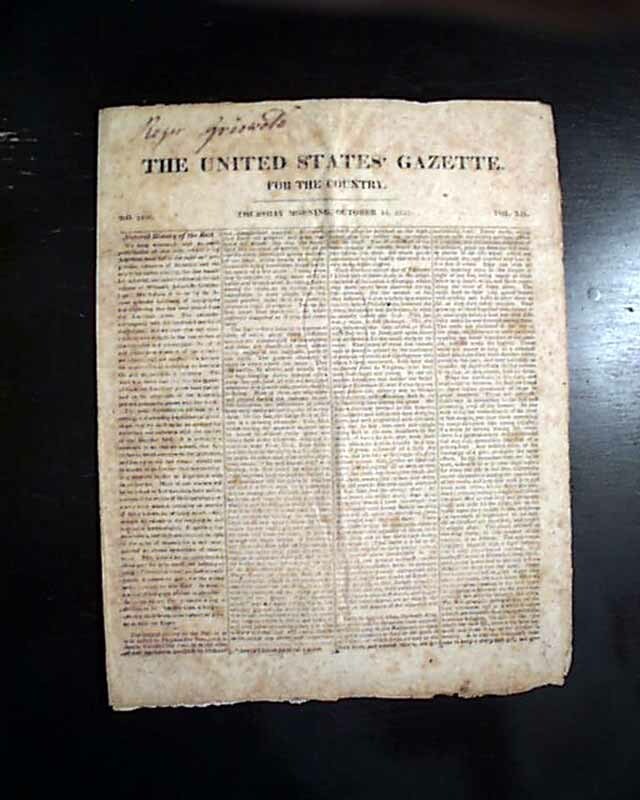 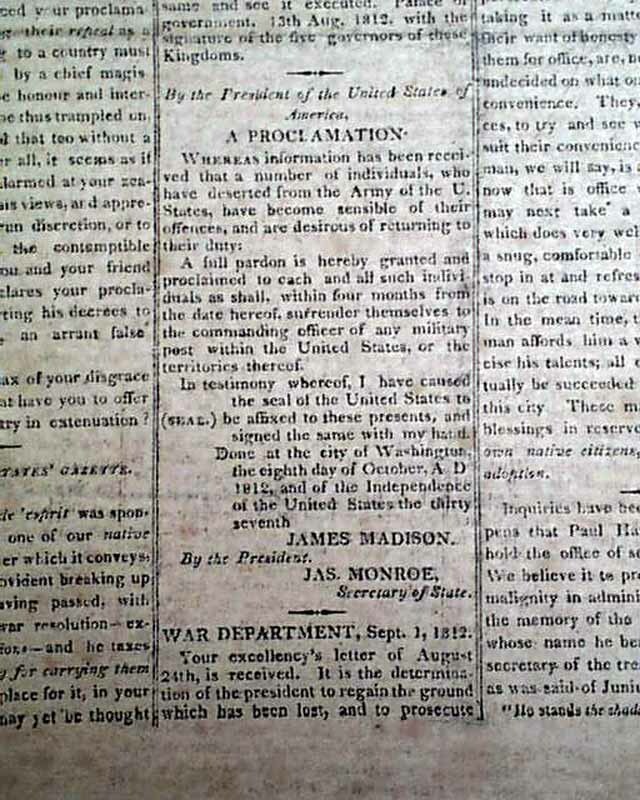 Inside has: "A Proclamation" by the President offering: "...A full pardon...to each & all such individual as shall, within four months...surrender themselves to the commanding officer of any military post..." signed in type: James Madison. 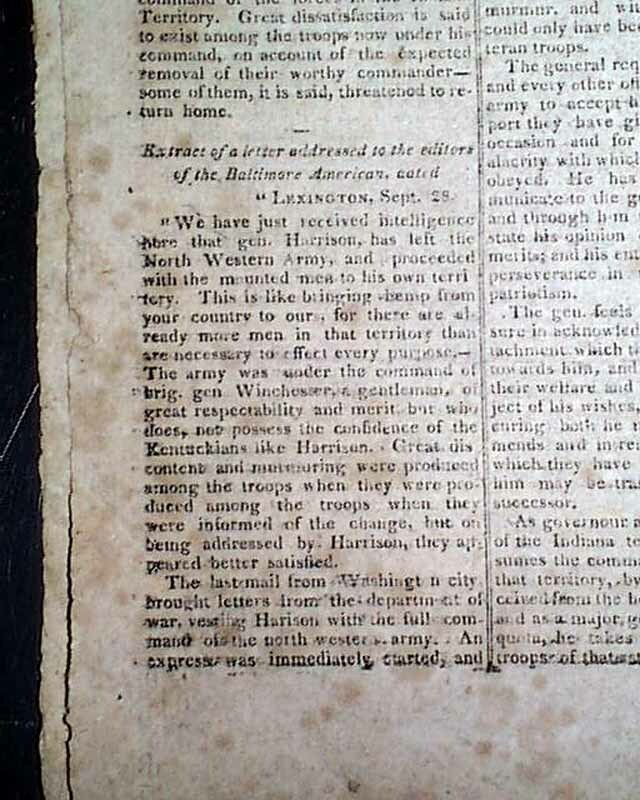 The back page has a letter beginning: "We have just received intelligence here that gen. Harrison has left the North Western Army & proceeded with the mounted men to his own territory..." with more. 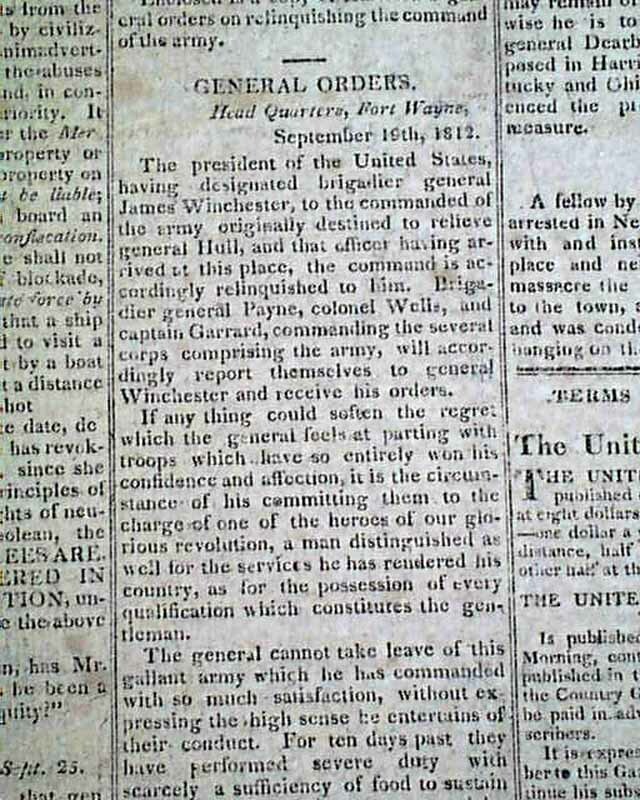 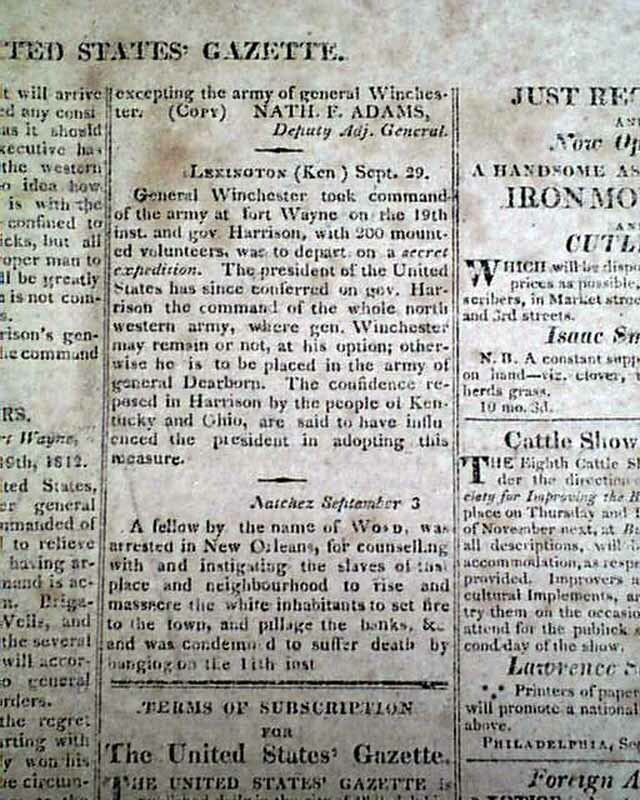 Also: "General Orders" dated at "Head Quarters, Fort Wayne", with more war-related items. 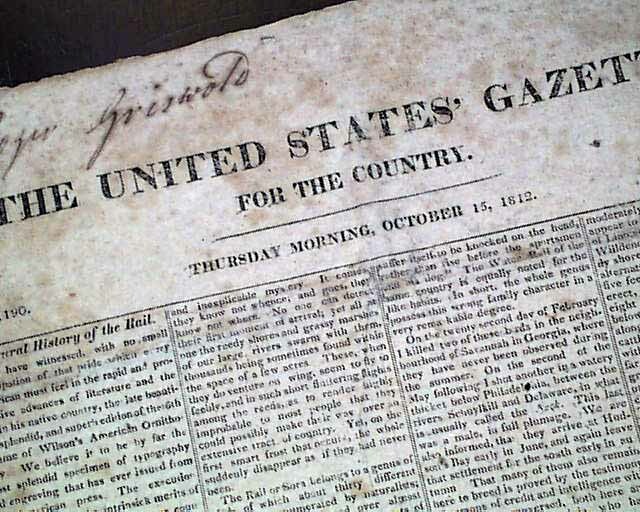 Eight pages, 11 by 14 inches, never bound nor trimmed, good condition.